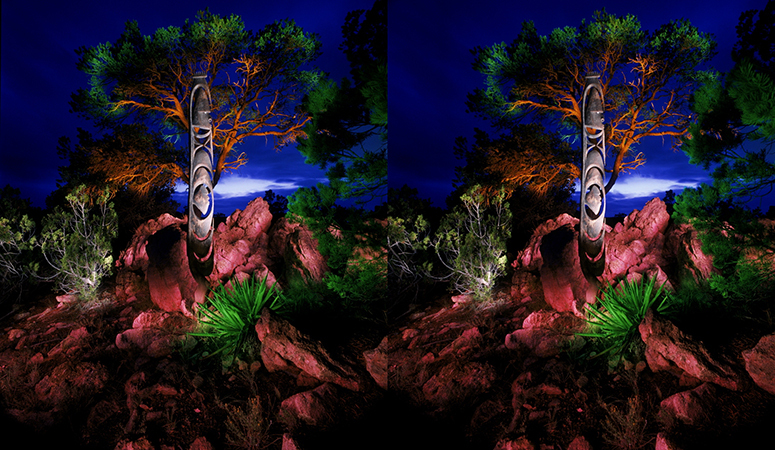 “Stereo-light-painting,” is my adaptation of 3D photography methods to incorporate an “immersive” element, a heightened awareness component into the final work that simply cannot be created with traditional one-eyed camera techniques. 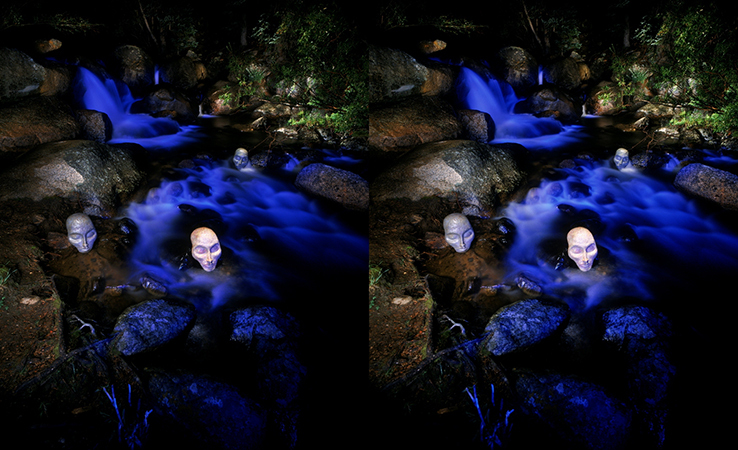 No Photoshop manipulation is involved in the creation of these 3D stereoscopic images. All of the “work” takes place in front of the camera by incorporating special light-painting techniques that present the subject to whatever recording medium is utilized. 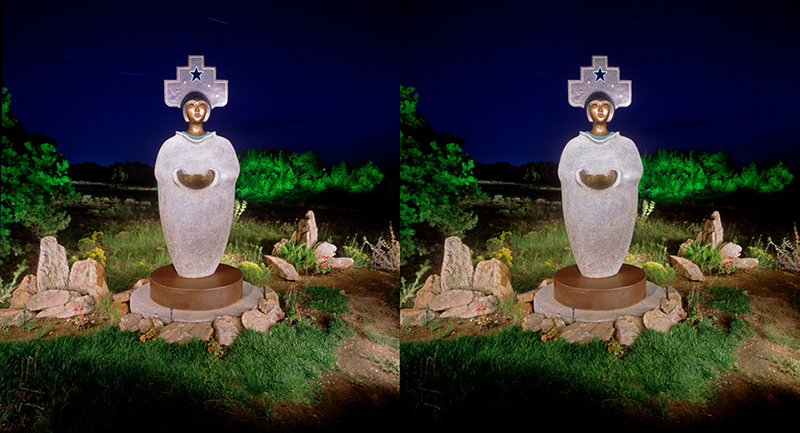 While most of the images in this website were created on film, digital technology merely substitutes a sensor in place of the traditional light-sensitive film emulsion. This entry was posted on May 29, 2013 by admin.